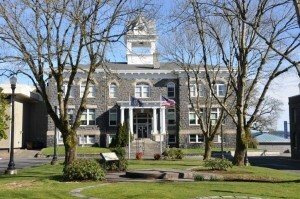 St. Helens, Oregon – located just shy of 30 miles from downtown Portland – is the county seat and the largest town in Columbia County with over 12,000 residents. 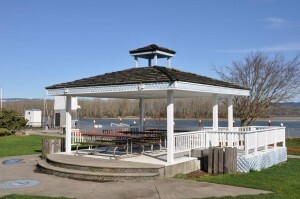 The town runs right along the Columbia River, offering marina and boating opportunities as well as majestic views of the river and the Cascade Mountains. Nearly daily you can be entertained by the wonderful river traffic of the huge cargo ships, fishing boats, sailboats and kayakers. US Highway 30 runs through St. Helens, with the east side offering quaint stores and eateries, as well as an Old Town area that features a movie theater, several restaurants and Columbia View Park where events such as 13 Nights on the River and spectacular 4th of July fireworks are enjoyed by all. The west side of town offers several newer neighborhoods, and after just a short ways down the road you will find rolling farm land and a very serene, rural atmosphere. July brings us the Columbia County Fair and Rodeo which features all the great things county fairs have to offer including an exciting rodeo and a carnival for the kiddos. Check out the City of St. Helens website. See what real estate is available in St. Helens, Oregon now!